Why is Quebec not part of the Canada Express Entry? 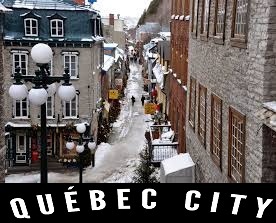 Quebec is the French populated province of the Canada that had special agreement with the Federal Canada related to the immigration and on various other decisions. Quebec is considered as a nation within Canada, two times in the political history of the Canada, the referendum for separation of Quebec from Canada was held, however the people voted down. The special emphasis is laid on the Quebec by the government granting them the prerogative rights. Quebec Immigration has played a major role in attracting the French speaking people to the Canada for settling in its mainland. Quebec province in Canada has special prominence, it does not take part in the Canada Express Entry and it has its own immigration procedures. Canada Express Entry is the Federal economic immigration program and Quebec Immigration doesn’t take part in the express entry. Quebec’s immigration is a knowledge economy and whoever comes to Quebec must have French language proficient and the much emphasis is laid on the adaptability factors. The intake for the Quebec Immigration in the year 2016 would reach new heights as Quebec is planning to revamp its immigration procedures. Quebec has planned to introduce new immigration procedures similar to that of the point based Canada Express Entry. Quebec has special requirements, the Quebec Immigration Minister announced for revamping the system to make the system streamlined, visa processing simple without much delays in the immigration procedures. The June intake likely to begin from June 13, 2016 will accept 10 000 skilled workers. The skilled workers who get permission to enter Quebec will be reviewed by the Canada Immigration Agency Immigration, Refugees and Citizenship Canada. Canada Express Entry is the dynamic procedure that helps skilled professionals to settle in different provinces of Canada except the Quebec province.